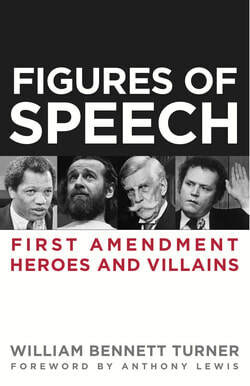 The book covers the first century of free speech opinions, from the classics beginning in 1919 to recent decisions by the Roberts Court, that address subversive and offensive speech, incitement to violence, obscenity, and the extent to which corporations have First Amendment rights. It features precedent-setting cases including Schenck v. United States (shouting “Fire!” in a crowded theater), the Pentagon Papers case, and Citizens United. The Revised First Edition (2019) demonstrates how the Roberts Court has increasingly used the First Amendment to serve conservative political interests. For more information about the book, visit https://titles.cognella.com/free-speech-9781516538881 or Amazon. For more information about the book, visit www.bkconnection.com, your local book store, or Amazon.